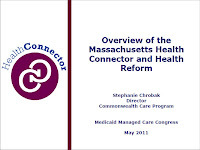 Recently at the Medicaid Managed Care Congress,Stephanie Chrobak, Director of Commonwealth Care, State of Massachusetts gave the presentation "Overview of the Massachusetts Health Connector and Health Reform". After reviewing the presentation, how does your state population differ from the Massachusetts population? 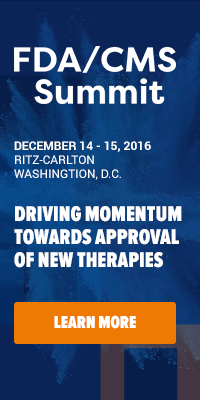 How will you have to modify your current offerings to meet the needs of the new populations? With 45 million new people becoming eligible through Health Insurance Exchanges, this information is especially relevant as we move towards 2014. Come learn about how to prepare for this new population, and other Health Insurance Exchange considerations at the Health Insurance Exchange Congress. Receive 25% off the standard registration rate when registering with Priority code XP1610BLOG. Register here.